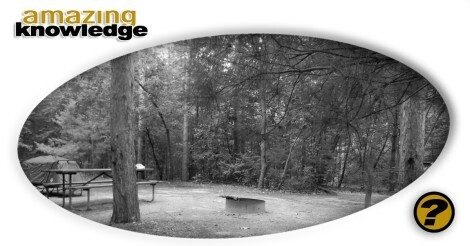 When it comes to choosing a campground there are a number of different approaches that are taken. In all honesty, most campers choose one of the campgrounds that is located closest to them and others, literally, just pick a campground off the Internet. While these approaches work, it is important to remember that you do not necessarily know what you are getting. If you are looking to have one of the best camping trips ever, you will want to take the time to find the campground park that is perfect for you and your needs. As nice as it is to hear that you should carefully choose the campground that you end up camping at, you may be wondering exactly why that is. What you need to remember is that not all campgrounds and parks are the same. This is something that many people fail to realize but is something that can have a huge impact on the success of your next camping trip. If you are not careful your next camping trip can seem more like a nightmare than a vacation. Another one of the many reasons why you should carefully choose your next campground is because it may have an impact on how much you pay to go camping. Campgrounds often charge varied admission fees. If you are not careful you may end up paying more money than you need to. When examining the cost of a campground reservation it is important to keep the on-site services, facilities, and activities in mind. The more you have access to, the higher the cost of the campground reservation will likely be. With that in mind, it may be worth the extra costs, …but not always. As previously stated, not carefully choosing your campground can turn your next camping trip into a nightmare. One of the reasons for that is because it impacts what you can do. That is why the services, facilities, and activities that you have access to at a campground park are important. You will want to look for a campground park that is filled with activities. For example, look for ones that may have playgrounds for children, swimming pools, fishing, boat rentals, and hiking trails. The more activities that you have access to at a campground, the more likely you are to enjoy your trip. This entry was posted	on Saturday, January 19th, 2019 at 5:32 pm	and is filed under Knowledgebase. You can follow any responses to this entry through the RSS 2.0 feed. You can skip to the end and leave a response. Pinging is currently not allowed.